We love and nurture CFA registered Siamese and Oriental kittens and cats, and have just recently expanded into raising Oriental kittens. For our Siamese, at this point we work exclusively with Gotier lines from Mr. Henri Pelletier in Fort Lauderdale, Florida, due to the health, beauty and vigor of his imported lines. Siameden kittens come to you with all current shots, vet checked and ready to love you to pieces. The price for a pet kitten is $900.00. Feel free to contact us! Siameden Cattery is located in Western New York, between Buffalo, NY, and Erie, PA.
You can also find us on our blog, Siameden Cattery, or visit our Facebook Page for pictures of our newest litters. Single Mom does a bang-up job raising her children and her cats. 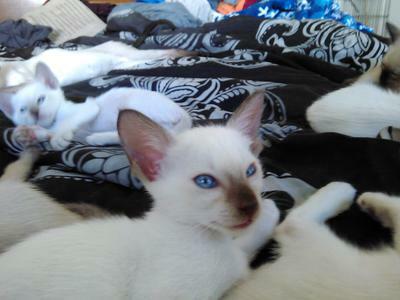 Happy Ms. Daniels has some Gotier Siamese as she respects genetic integrity. Ms. Daniels knows how to spell the word genetics hence there are no incestuous breedings in her program. Good healthy stock and properly raised and loved. 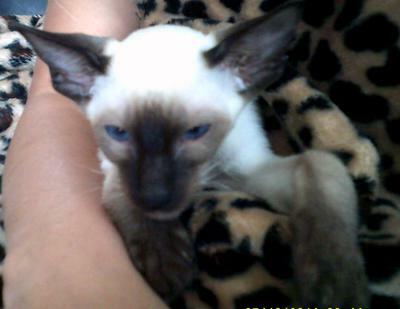 It is my pleasure to work with the Siameden Siamese Cattery. Like to write your own page? 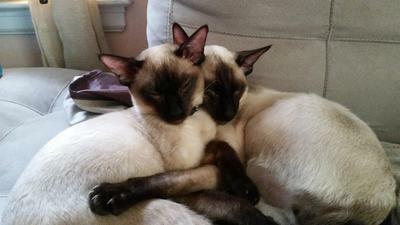 Click here to return to Siamese Cat Breeders.